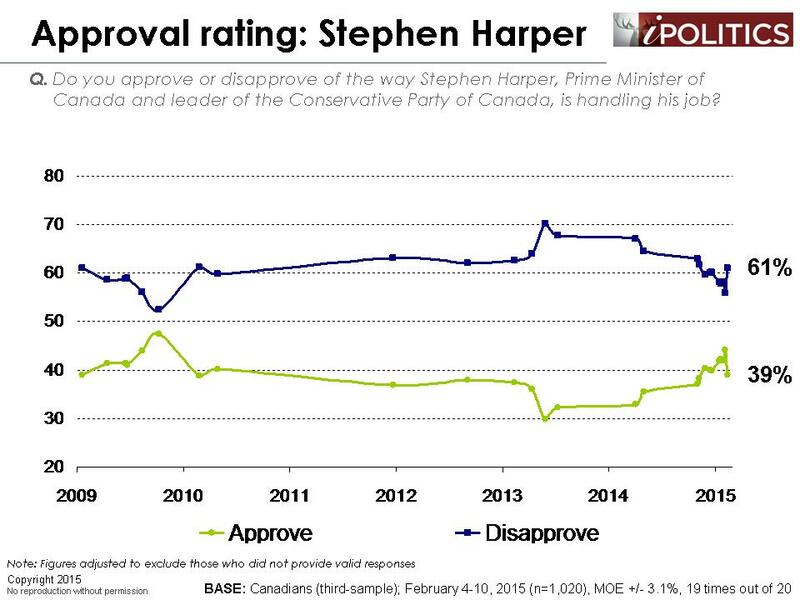 Support from the less well educated and male voters has dropped more steeply for Stephen Harper, as has his net approval score. A more provocative thesis is that the florid hyperbole around the jihadist war on Canada has actually overshot voters’ capacity for suspension of rationality. The regional patterns are also relatively stable with a slight shift in favour of the Liberals in the critical Ontario and Quebec arenas. The other significant shift in an otherwise quiet polling period was the nine-point improvement in Justin Trudeau’s net approval score. 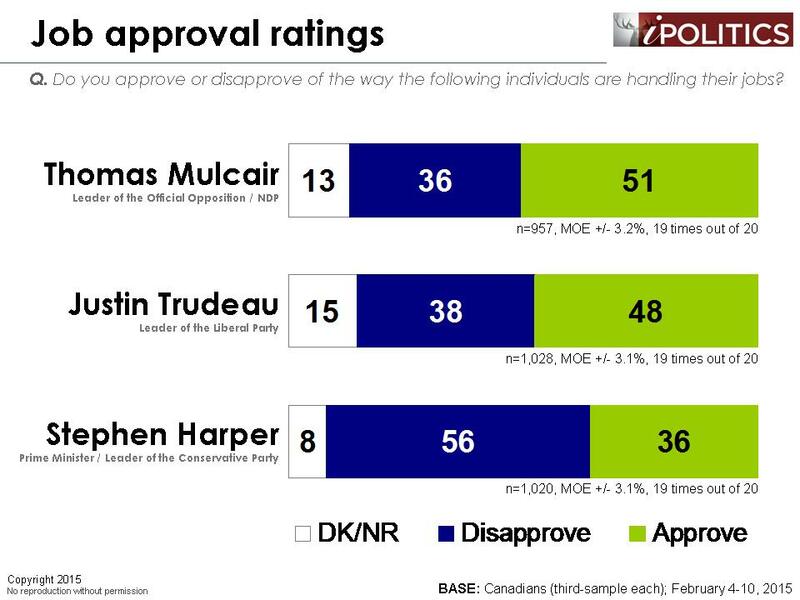 This may be significant as his approval has been stuck or slightly declining for some time and the net shift in the relative positioning of Trudeau versus Harper is a significant disruption of what was a quite favourable trend in favour of Harper. 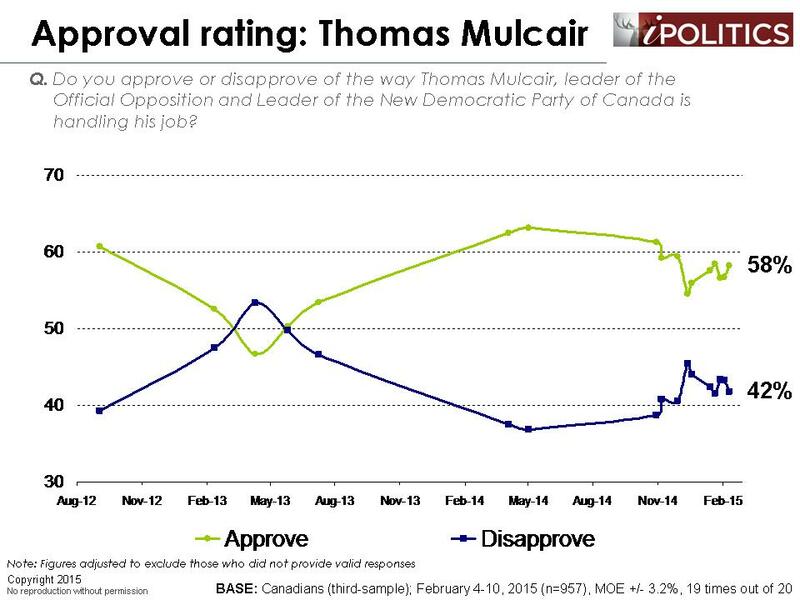 Thomas Mulcair is also improving somewhat. The opposition leaders have had trouble gaining much attention or traction with the recent fixation on security and terror, but that may be changing. 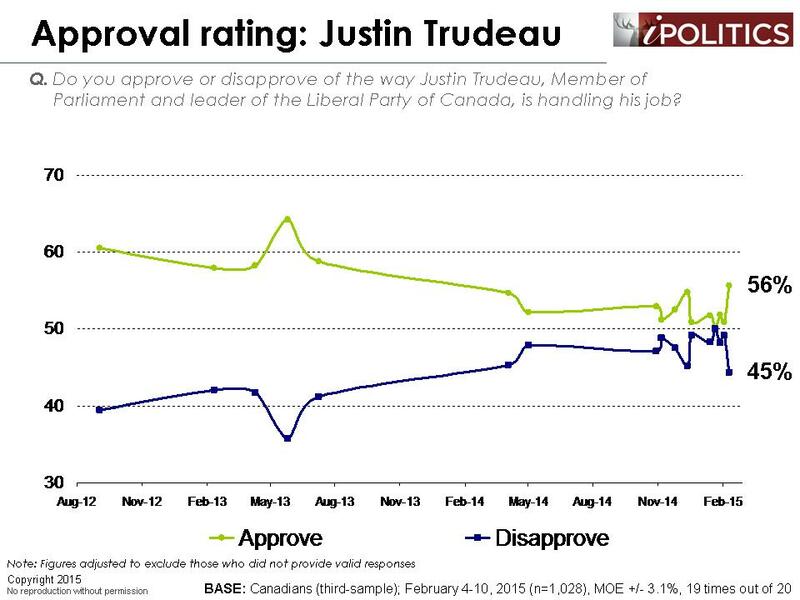 The possibility that Stephen Harper is losing some of his new security-driven lustre is also reinforced by the fact that there is no corresponding decline in broad directional approval (which is actually up slightly). Some of the other diagnostic tracking suggests that the more salient issue of the economy is once again reasserting itself and that this is much less favourable terrain for the Conservatives than the terror file. The economy (jobs and growth) is the dominant issue by an increasing margin in one of our key issue tracking tests and has opened up a 12-point lead on social issues (which were tied not that long ago). The economy ranks as the dominant issue in all regions of the country and across all demographics with the exception of youth, who lean more towards social issues. Social issues come up more often in Quebec, among women, and among university graduates, while fiscal issues are becoming an important issue in Alberta. Another, newer forced-choice test that arrays security, the environment, and democratic renewal shows that ‘restoring the middle class’ outstrips all of those other important issues by a large margin of well over two to one. The salience of the middle class issue transcends partisan lines and we believe it may well be the critical ballot question in October (or sooner). 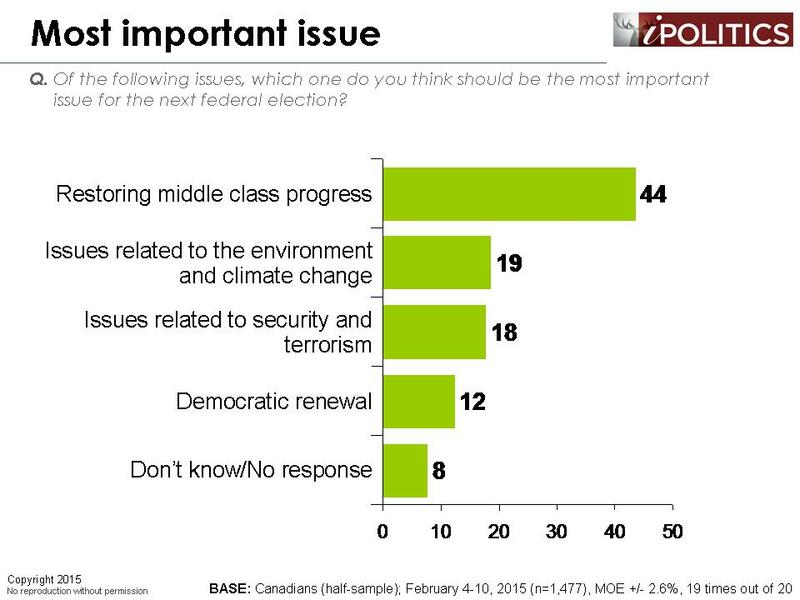 The issue is particularly strong with Francophones, the labour vote, boomers, and Generation X. 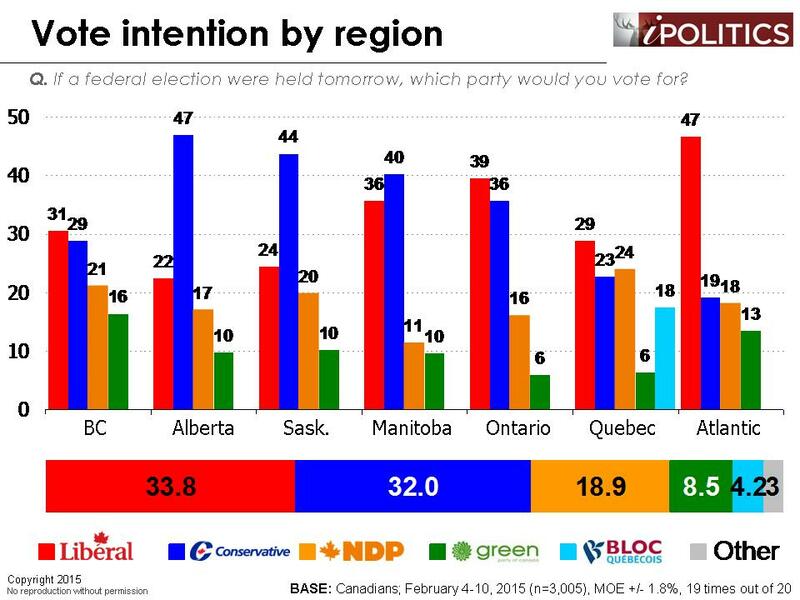 These are all critical constituencies for the Liberals and, in particular, the NDP, who continue to falter well below their levels of the last election. There isn’t much cheer out there about the way the economy has been working and the patterns suggest progress is halting, may be reversing. We typically look at outlook on the future and economic confidence is extremely low these days and gets worse as we move further into an increasingly cloudy future . We sometimes look in the rear view mirror and that picture isn’t very pretty either. A sense of progress versus decline is clearly tilting away from a fairly evenly divided set of views to one where things are now leaning to stagnation and decline. 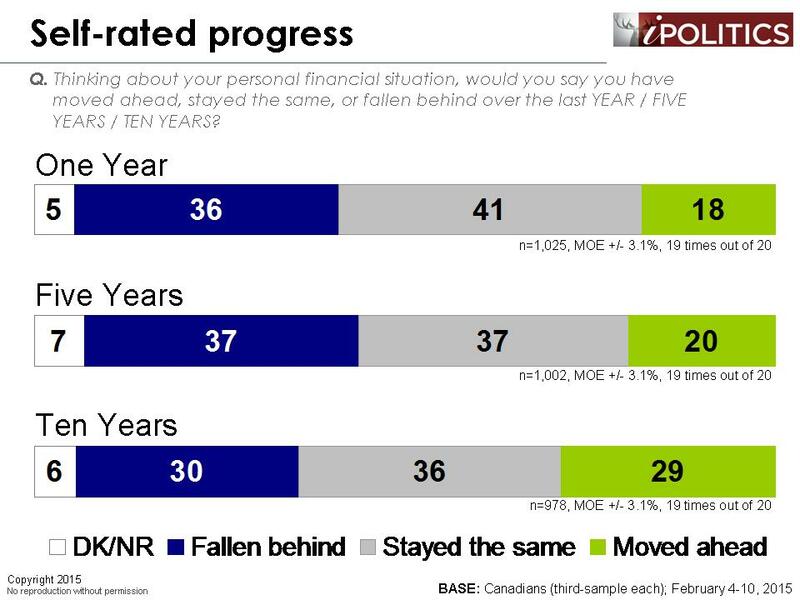 Less than one in five Canadians sees themselves as having improved over the past year or past five-year period – this isn’t a very warm thought for voters entering a ballot booth and thinking how they have done under the incumbent’s rule. What is very interesting is how the economy has worked according to partisanship. While no party supporters have actually felt that they have moved forward much, the incidence of progress is much higher amongst those who favour the conservatives. 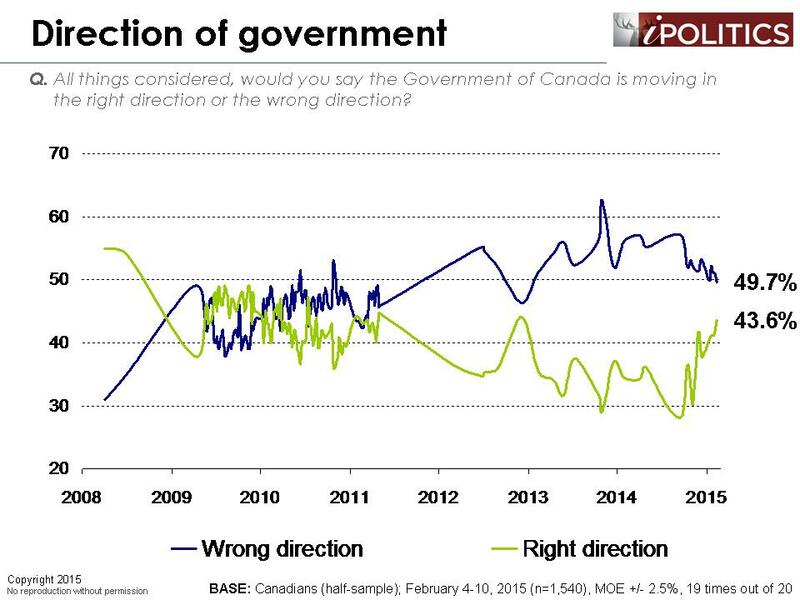 So while the economy hasn’t worked very well, it has worked much better for the minority of Canadians who support the government (but even there, the sense of progress over the past year is down sharply). It doesn’t augur well for a government where no one really feels they are seeing progress anymore. That is why the issue of restoring middle class progress is so much on the voter’s minds right now, and why it will almost certainly eclipse security when voters get to the ballot booth. While we make no comment on the merit of Eve Adams’ decision to cross the floor to the Liberal Party, it is our experience that the public do not find the same problems with loyalty as insiders and the party faithful. We do not believe that this incident will be a factor in the outcome of the next election. This development can, however, be linked to broader trends becoming apparent in the political landscape. 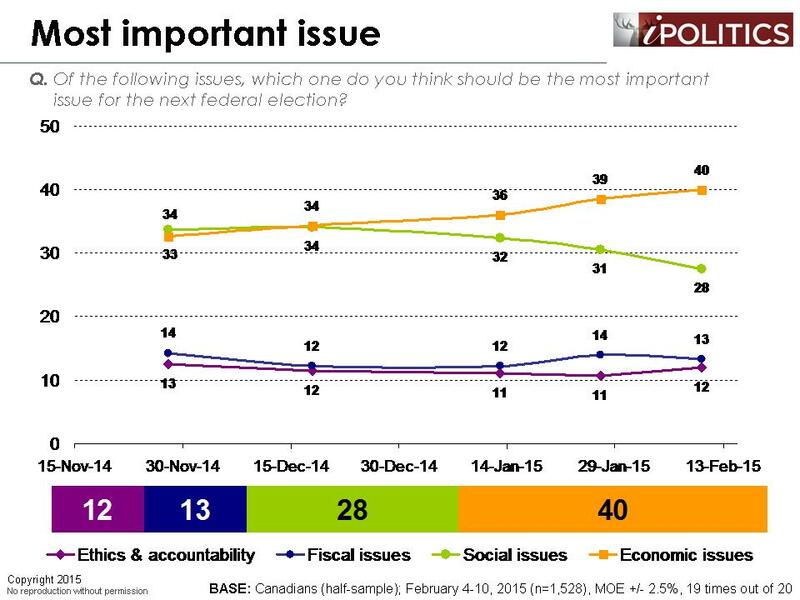 It is really important to note that the Canadian public seems to be moving away from the politics of polarization. In 2011, we began witnessing a trend where Canadians were abandoning the political centre and moving to either the left or the right, as evidenced by the success of the Conservatives and NDP and the near-demise of the Liberal Party. Indeed, it appeared that Canadians were moving towards a U.S.-style polarization where voters are divided into two irreconcilable ‘armed’ camps. However, it now appears that the centre-left may now be moving away from that path. 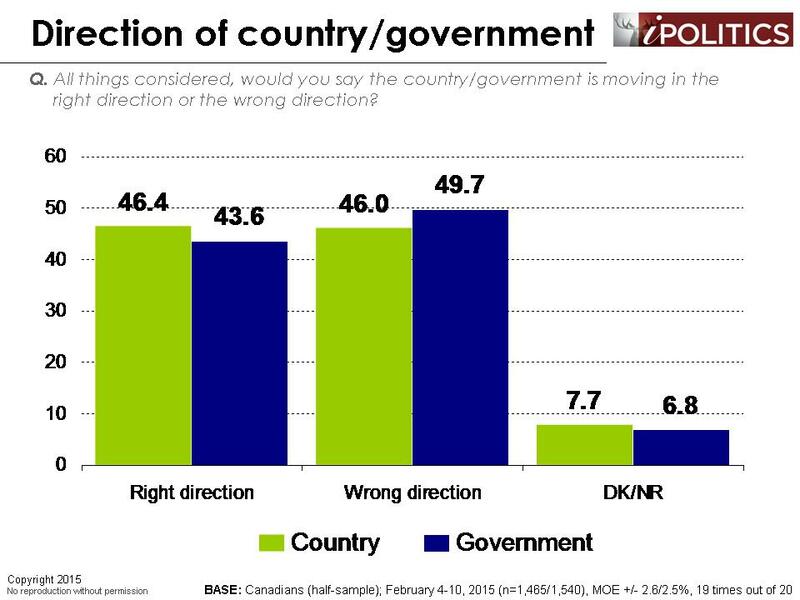 At the very least, non-Conservative voters are not currently being drawn to an alternative left-option – a political yin to Stephen Harper’s yang, as it were. For the time being, they are increasingly opting for a centrist option. We asked Canadians who they voted for in the 2011 election and compared their responses to who they intend to vote for in the upcoming election. The results show that only about half of current Liberal supporters voted Liberal four years ago (hardly surprising considering they captured less than one-fifth of the vote). 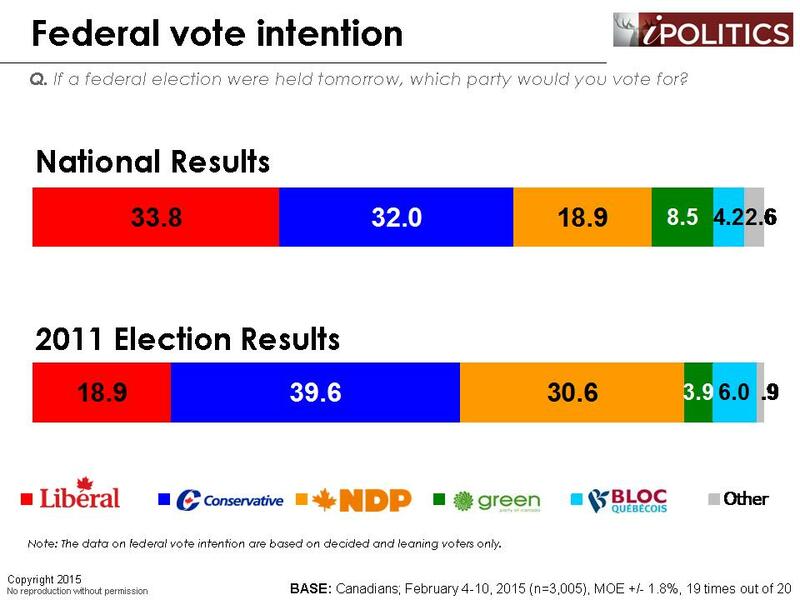 What is interesting, however, is that the Liberals have drawn their new support equally from both the Conservative and the NDP camps (as well as returning and new voters). 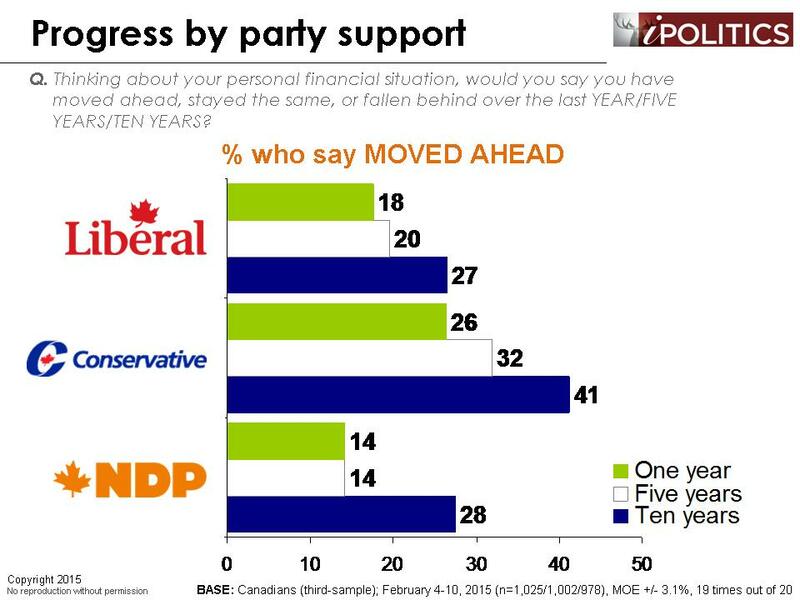 In other words, there are as many former Conservatives in the party as there are former NDP supporters. All of this suggests that Mr. Trudeau is at least temporarily re-establishing his party as a centrist party and is re-constructing the constituencies that were key to the party’s success in the 1990s. The field dates for this survey are February 4-10, 2015. 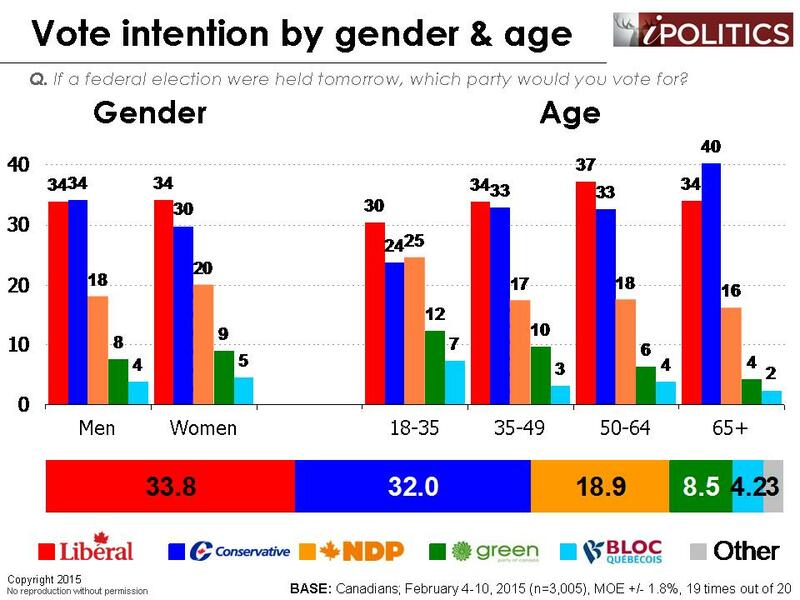 In total, a random sample of 3,005 Canadian adults aged 18 and over responded to the survey. The margin of error associated with the total sample is +/- 1.8 percentage points, 19 times out of 20. 3 comments to Conservatives Slide Slightly: Is the Terror Card Losing Force? It would be interesting to see a poll on the environment. Specifically, how does Harper rate on this issue. I agree. I answered an automated poll this evening and not one question was asked about the environment. I expected one and would have thought it would be an important issue for 3 of the parties anyway. 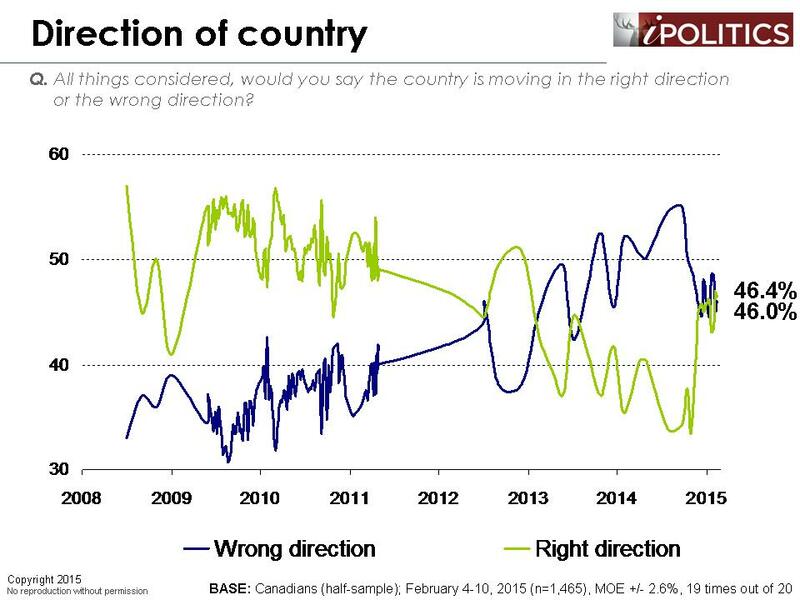 Canadians have lost faith in polsters, they have been drastically wrong too often. 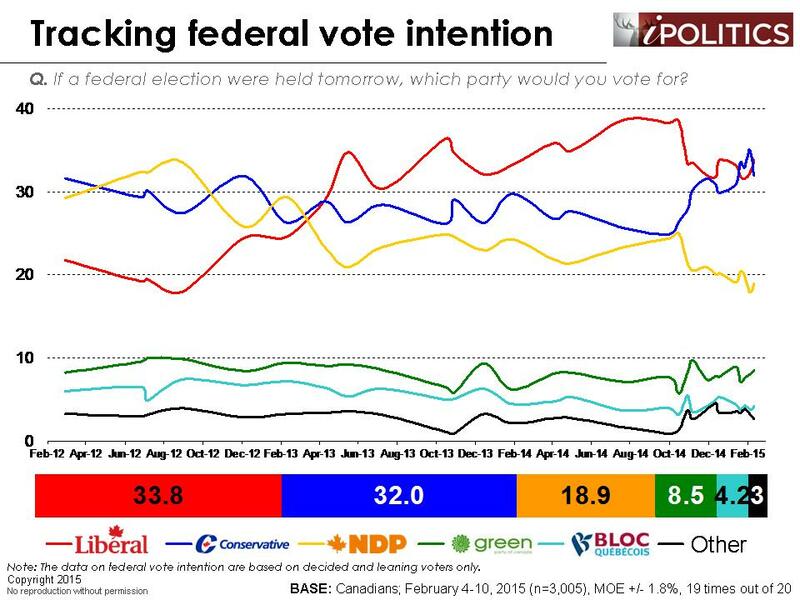 For example, in British Columbia in our last election we were told that the NDP were ahead, in the last week they were falling because of the “economy” and support for “drill baby drill”! What happened is the Liberals won the election – when I’m asked which party I support I’m almost afraid to say which party I would truly vote for if it is reported wrong and voter apathy takes hold. We are now stuck with Conservatism in BC and Justin Trudeau has nothing to say about his baby Liberal party in BC. This sends the wrong message to voters in BC. Christy Clark is a pocket leader to Stephen Harper, I’m sure if she could change the flag she would!!! !